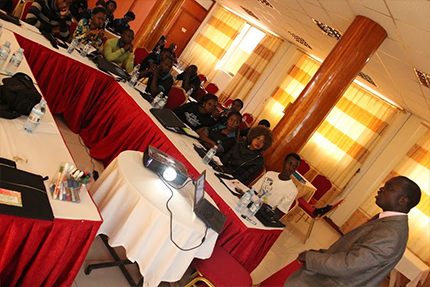 On 11th September, 2015 our Peer Educators underwent a refresher training on Comprehensive Sexuality Education and how best to communicate to the different stakeholders within the community on issues of youth Sexual Reproductive Health and Rights. Laced with role plays, direct interactions and presentations, it was back to the basics. Questions such as; “what is CSE? Who should receive information on CSE? 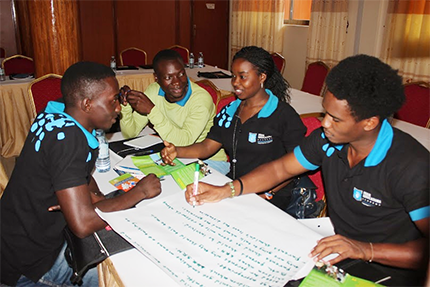 How to involve parents and guardians in CSE for young people?” were tackled and the Peer Educators were tasked to describe how they’d go about handling the questions and different situations. During the training, there was renewed commitment by the Peer Educators to reach more young people as well as hard-to-approach but nonetheless vital stakeholders such as religious leaders using creative ways to disseminate the information in the toolkit that they received. The toolkit’s dissemination and use is a direct contribution to the Young People Today campaign and a way to help more young people across East and Southern Africa to understand Comprehensive Sexuality Education as well as access youth friendly health services. The National HIV Prevention Officer for UNESCO in Uganda, Mr. Charles Draecabo graced the training and gave an overview of the “Young People Today” campaign to the Peer Educators and the inception of the ESA commitment, a commitment that Uganda espouses to. He elaborated on the 10 commitments and targets set out in the agreement and each one’s role in helping to achieve these. He further highlighted that young people needed to be in possession of the right information so as to be empowered to help their peers as well as being in the right position to share this information. Thank you Charles!